Hey there! 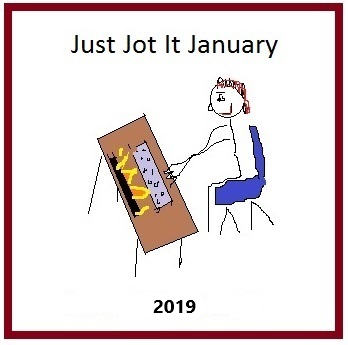 We’re back again to the daily Just Jot it January prompt. I’m glad I haven’t had a glass of wine tonight. I almost forgot to schedule this post sober. 1. Please be sure to link back to THIS POST for January 27th, 2019. Pingback: JusJoJan – Sunday – January 27th | Tessa Can Do It! Positivity is Catching!